A fibrous petha filled with gulkand inside and sprinkled with extensive coconut flakes brings about excellent nutrition that leads to good health and fitness. 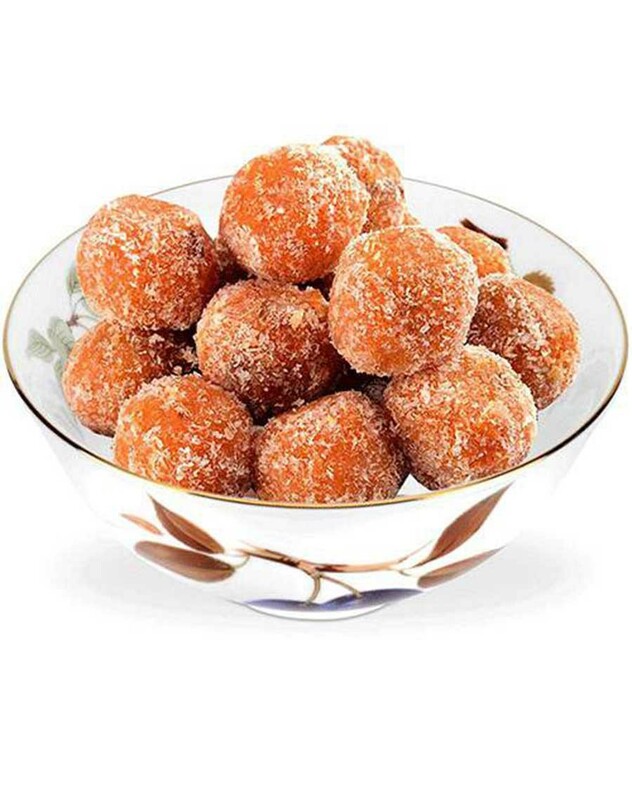 We are widely reckoned for making available Gulab Laddu Petha. The Petha Gulab Laddu that we offer is made using quality ingredients, and thus is safe for consumption. Our Gulab Laddu Petha is a perfect blend of Petha, Gulkandh, coconut powder, dry fruits and khoa that give a distinct taste to the consumer. Gulab Laddu Petha, supplied by us, is widely demanded on various occasions to spread the sweetness among the people.